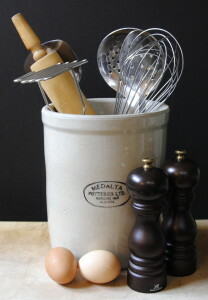 Fundamentals :: Oracibo.com - Food, Travel, Design and Cooking! A couple of ideas to slather on fresh, fantastic, local corn! Mix all ingredients in a medium bowl. Can be made 2 days ahead. Cover & chill. Bring to room temperature before using. Mix all ingredients in a small bowl. Can be made 2 days ahead. Cover & chill. Bring to room temperature before using. Here’s the link to making your own Garam Masala. The blueberries are in season and we’re making a batch of this barbecue sauce to slather onto pork chops, ribs, burgers, chicken, turkey or even fish! 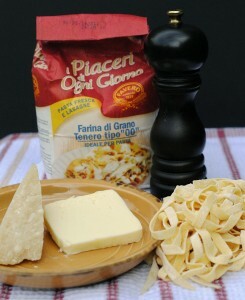 It will keep in the fridge for up to 2 weeks and can be easily frozen. In fact, I have doubled the recipe just so I could have a stash in the freezer! 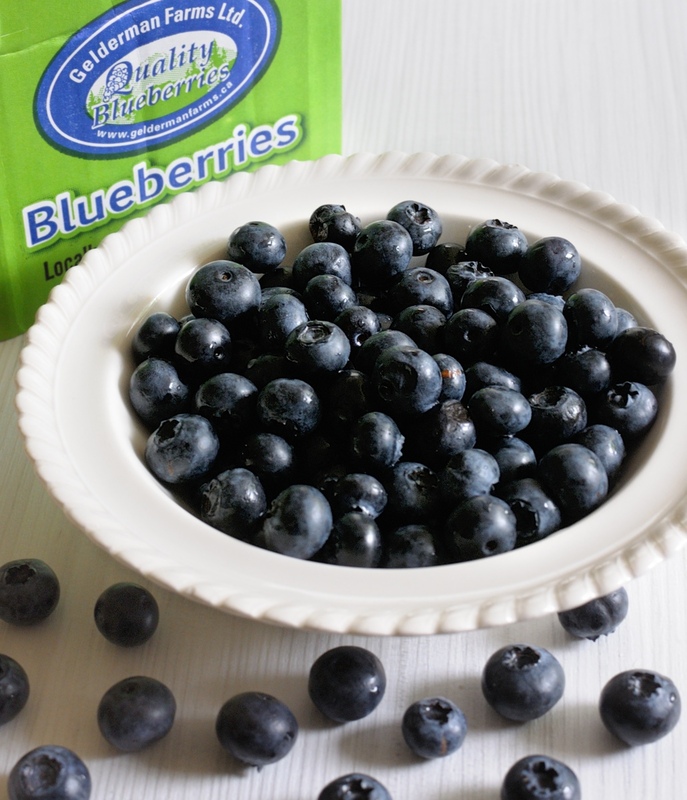 Gelderman Farms has delicious, juicy blueberries grown organically. If you would like to get some of their berries, see Some of My Favourite Sources. Combine all the ingredients in a medium saucepan. Bring to a boil, reduce heat & simmer for one hour, stirring occasionally. Cool for 15 minutes then puree in the processor or blender until smooth; season to taste with salt & freshly ground black pepper. 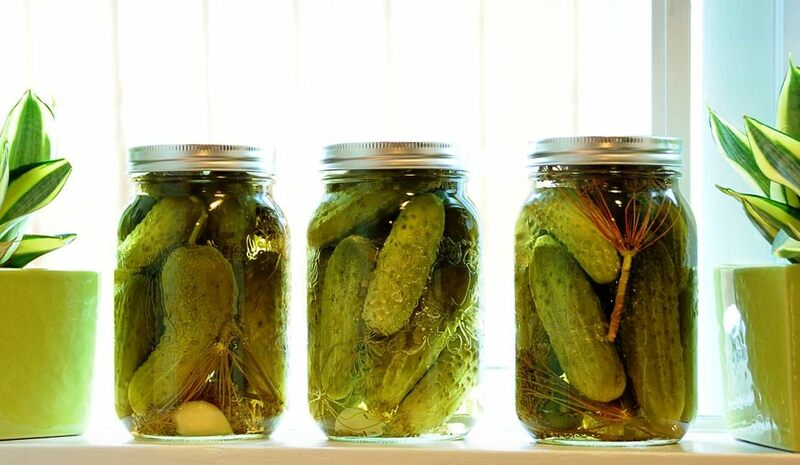 Dill pickles are one of the things that we like a lot at our house. We have been canning/preserving them every year for it seems like forever…and when you present a jar to friends, are they ever happy! Cold, crisp and crunchy! We now get our organic dill cucumbers, dill weed and garlic from our local farmer’s market, we think the pickles have never been better. We put garlic in all the jars but only put pickling spice in half of them just for a bit of variety. A canning kettle Wash & dry the canning jars & screw caps. Fill the canning kettle about 2/3rd full with water, cover & bring to a boil. Turn the oven on to 225 F. Place as many jars as you can in the canning kettle at a time; cover & sterilize the jars for 10 minutes. If necessary, repeat with the remaining jars. Line two rimmed baking sheets with kitchen towels. As the jars are sterilized, place them onto the towel lined baking sheets & keep warm in the oven. Place the screw caps in the boiling water & keep them at a simmer until ready to use. 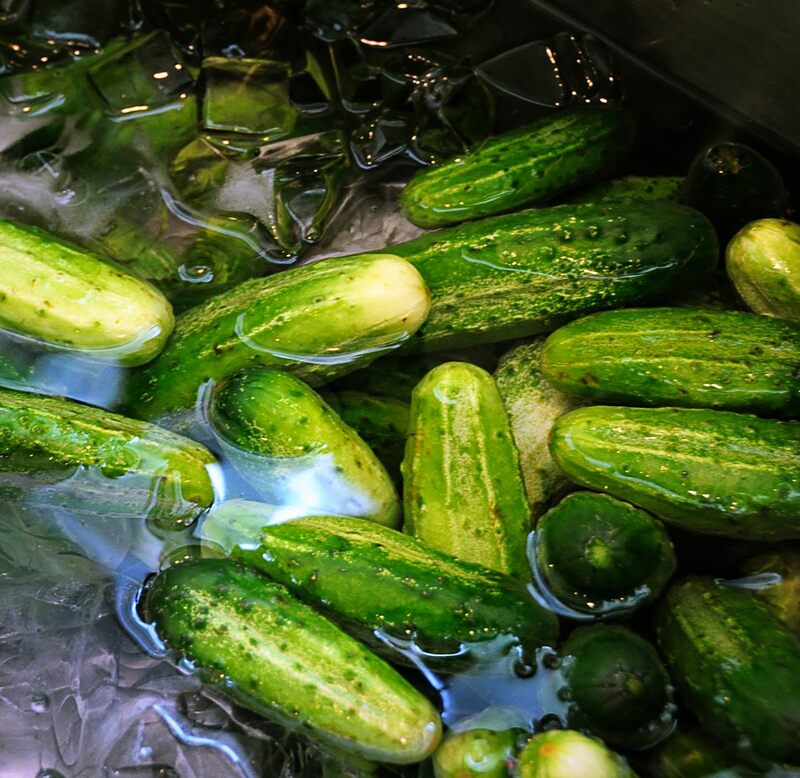 While the jars are being sterilized, wash the cucumbers then place into a large spotlessly clean, metal tub; add cold water & ice to cover. Let stand for an hour. Don’t skip this step as this is what makes the pickles crisp. In the meantime, place the vinegar, 24 cups of water and pickling salt in a very large pot, cover & bring to a boil to dissolve the salt. Turn the heat down to simmer, cover until ready to fill the jars. Follow the instructions on the package of your screw caps & lids for how to prepare the lids as different brands have varying methods for doing this. After the hour is up chilling the cucumbers, remove the jars from the oven. Remove the cucumbers from the ice water bath a few at a time; with a spider or other large slotted spoon or sieve; place in a colander to drain slightly. 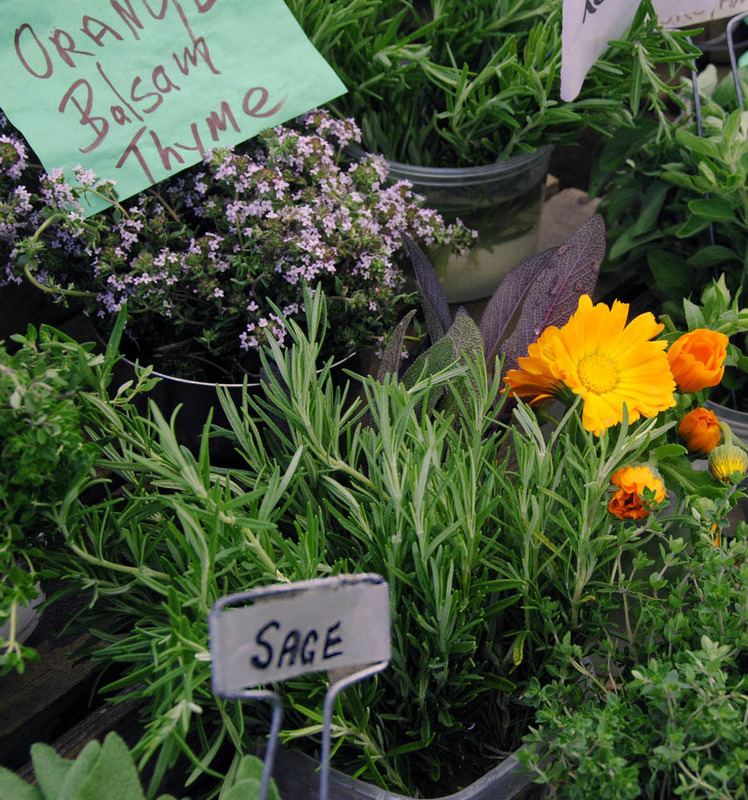 Place a clove of garlic & two or three sprigs of dill weed, saving the blossoms for when the jars are filled & ½ tsp. 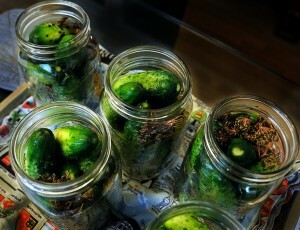 pickling spice, start filling the jars with the cucumbers, blossom end down. **Heinz Canada recommends their Pickling Vinegar to properly preserve foods by inhibiting the growth of food spoilage bacteria, as it has an acidity level that is recommended for successful, safe, home preservation of foods. If you are outside of Canada check other vinegars to ensure they are safe for preserving foods. **To see about preserving/canning using a hot water bath, click here. This curry powder is a Malaysian style one. The cuisine is a mixture of Indian, Chinese and Malay to name a few. Because of the various ethnic influences, I consider this to be my “house” curry powder when I am cooking Asian. Hope you enjoy the exotic taste as much as we do. It’s pretty darned good in curried butternut squash soup! It’s a great gift for your “cook” friends. You might want to turn your face away from the pan when toasting the cayenne as it might sting your eyes. In a clean coffee grinder, used only for grinding spices, grind toasted spices (except turmeric & cayenne) & black & green cardamom to a fine powder. Strain through a fine sieve into a bowl. Return the coarse bits to the grinder & grind until fine; add to the bowl; mix in the turmeric & cayenne. Let cool completely. **The cardamom seeds & cardamom pods are not toasted. Herbs you dry yourself are greener and a lot fresher tasting that the bottled ones. Thyme is something I use a lot and even though I have three plants in the garden, I find I need more. I buy a couple of bags of fresh thyme and dry them. I have been doing this for ages since I discovered how much more fragrant and fresh the home dried was. It’s simple to do. ; either in the microwave or if you have a really warm, dry place (I use our furnace room) to either hang up bundles of the herbs of spread them out on rimmed baking sheets. Just recently I dried peppers in the furnace room…worked great! Spread ½ cup fresh herbs in a single layer between paper towels. Microwave on high for 1 minute; if not completely dry; microwave for up to 1 minute longer, checking every 20 seconds, until dried. Let cool. Store in an airtight container in a cool, dry place for up to 6 months. If you grow your own tomatoes, or even if you are curious, these are wonderful! This is an especially good thing to do with end of summer tomatoes. We all know how much I adore tomatoes! Cut plum tomatoes in half lengthwise (you choose how many you want to do, perhaps 2 lbs.). Core & seed tomatoes. Place on a rack on a baking sheet & sprinkle lightly with salt. Place in the oven & bake for 7 or 8 hours or until they feel leathery but pliable; let cool. Pack into clean jars or plastic freezer bags & store in the fridge or freezer for up to three months. To rehydrate, place in boiling water for 1 – 2 minutes or cover with hot water & let stand for 20 minutes. **Dried tomatoes can also be covered with dried herbs such as rosemary, bay leaves, oregano, savory, peppercorns or garlic in any combination & EVOO. 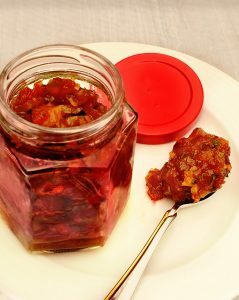 Simply pack the dried tomatoes loosely in sterilized jars with the herbs of choice. Fill completely with EVOO making sure the tomatoes are completely covered as they could mould if exposed to air. You can eat them right away but the flavours will develop if allowed to stand for 45 days or so. Store airtight in a cool place or in the fridge. You may have to bring the jar to room temperature to use. One of the things I really love to do is test recipes that sound interesting. The other day I was thinking of making an arugula salad with mosto cotto (cooked grape must) dressing because I just happen to have some on hand, bought on our last trip to Chianti, that I am sort of hoarding. One of the ingredients called for were Macrona almonds. Never having used these before, I made a trip to my local, high-end grocery store, just knowing they would have some. Well…they certainly did! Yikes, I thought, when I turned over the container and saw that 2/3 of a cup of them were going to cost slightly over $10.00! Not that I’m cheap but …I looked at the ingredients and thought, just a second, I have blanched almonds, really good EVOO and sea salt at home and I have the technology to toast some almonds. I’ll be damned if I was going to pay that much for a handful of almonds! When I got home I got out the almonds, tossed them with EVOO and sea salt and put them into a preheated 350 F. oven for 12 or 15 minutes stirring often, until lightly golden. My husband has been nibbling on the leftovers from the salad all day! So there you are. Sometimes you just have to be creative! Which brings me to how to make the basics yourself for a lot less $$$. Things like tomato sauce for pasta, which is so dead-easy and fast I can’t actually believe people pay as much as they do for a jar of stuff that is not that great, crème fraiche, soups, stocks, bread crumbs, salad dressings, herb salt and spice mixes. Or how about something as simple as self-raising flour? 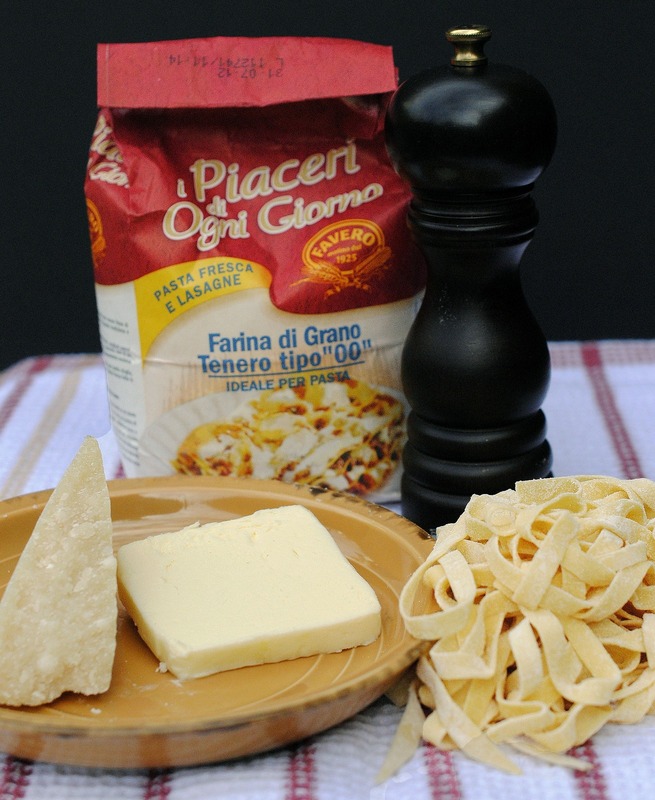 If it’s an item you don’t use often then simply combine 3 cups unbleached flour and 1 tablespoon baking powder. Freshly made spice mixes like garam masala and Chinese 5-spice, add a new level to your cooking. 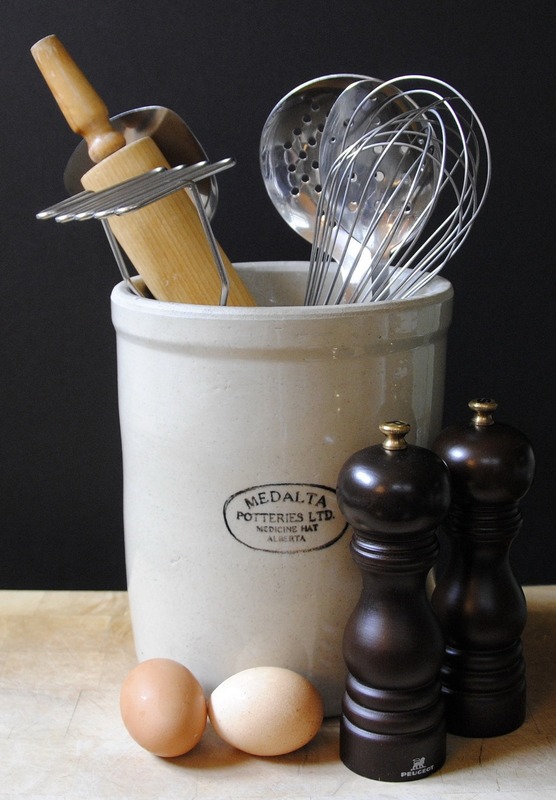 Sometimes it takes a bit of thinking ahead as in the case of crème fraiche but if you know you will be needing some…. If you grow your own tomatoes, why not have a go at making your own oven dried tomatoes? 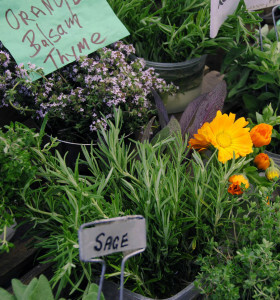 Or…how about drying your own herbs? This can be easily done in the microwave! Or, if you have a really warm room, like I do, either tie them up in bundles or lay on a paper towel lined rimmed baking sheet & voila in a few days, dried herbs! Sure a lot fresher tasting than dried herbs sitting in those little bottles in the store for who knows how long. We are spoiled because we have a large freezer so I do make a lot of things for freezing but it’s not necessary to do things in a big way. Even making a pot of chicken stock once in a while, stashing it in the fridge freezer for making soups and sauces will make a difference. I really do like to make my own spice mixes. I find that they are so fresh and the spices really come through. 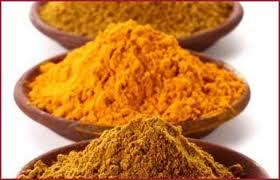 There are many combinations of spices from the different regions of India but I have found this one to my liking. Store any leftovers in an airtight container. Try to use within a month but if stored in a cool, dark place, it will keep a little longer. Lightly crush cardamom pods; reserve seeds & discard pods. Break cinnamon stick into several pieces. In a small skillet, over medium heat, toast all of the spices, stirring, until slightly darkened and fragrant; 1 to 2 minutes. Let cool. Grind in a spice grinder or a clean coffee grinder used only for that purpose, until fine. Place into an airtight container or as I do, clean spice bottles I have on hand.